Well I was going to show some images of stunning quilts from the Sacred Threads Exhibition that Fran took me to in Herndon, Va. However, when I started looking through the CD of images there was a statement saying I need written permission. Now I did have verbal permission as I asked the on-duty official at the time and she said that it was fine as long as I included the artist’s name and statement. However, I don’t want to infringe anyone’s copyright so I have emailed the person concerned to see if I can get permission to show you a few images from this absolutley stunning exhibition. So stay tuned. 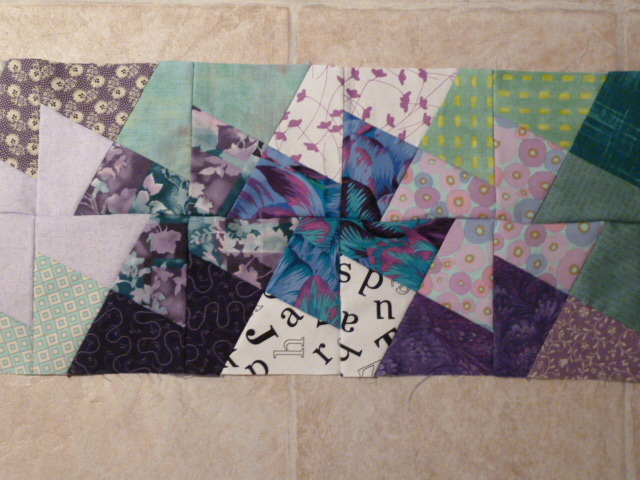 In the meantime here are some progress photos of my “In a spin” quilt.The first shows the first two rows I have completed. 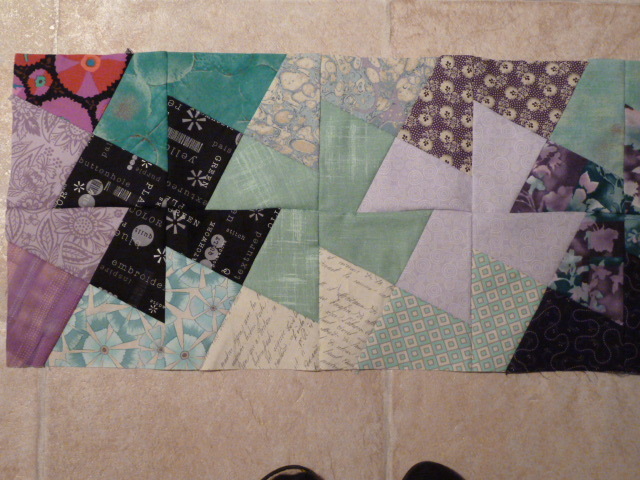 I’m hand-piecing so it’s taking a while. Start looking, I’d really like to see it Annette. I’ve long admired the “spin” design and wondered how it was done. From what you are doing, it looks like my thought that you have to plan out the whole layout of colours before you start cutting and sewing could be correct? I didn’t plan the colours to begin with. 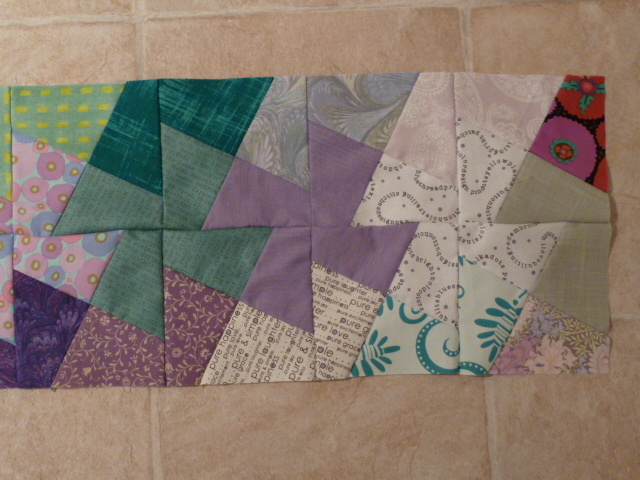 I just picked purple, teal and fabrics with writing on them from my stash and then cut out four of the shapes from each one. Then I played with it on the “design wall” until I was happy with it.